Come join me on my travels through Ohio, Kentucky, Indiana and beyond! Here, I will share my thoughts on places to stay and things to see and do and where to eat. 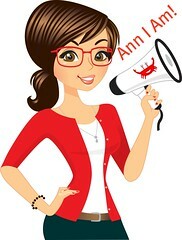 Loving the new page Ann, going to check out the caves first !! I love reading reviews about real places and real experiences. It just makes it easier to know what to expect! So glad you started this page! I'm excited to check these out! KY is close enough that it can make the list for spring break (or summer) vacation ideas! Happy Trails! I like reading about other people trips and how they liked or didnt like it. I remember going thru KY one time - we could stop tho. I remember it being a beautiful state. Awesome idea I might try to do this in the next few years.